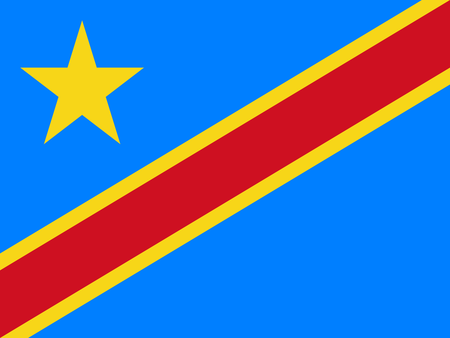 Africa's number two country in terms of size, and fourth in terms of population, the Democratic Republic of Congo—formerly Zaire, and before that the Belgian Congo—is situated in the center of the continent. The official language is French. The dominant physical feature of the land is the mighty river that gives the Republic its name and stretches through 3000 miles of its territory. The equator splits the country into two complementary climatic zones with alternating dry and wet seasons. The DR Congo has had a difficult time exploiting its bountiful natural resources owing to ongoing political instability, though the situation seems to have improved somewhat in the past couple of years. The Congolese have a keen interest in soccer, rugby and basketball, and have produced a number of world-class players in the latter sport, in particular Dikembe Mutombo, one of the best African basketball players of all time. Golf is not a major pastime here, but there are two courses open for play. 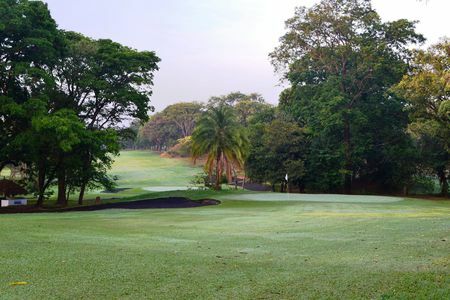 Golf Club Cercle de Kinshasa, part of a luxury resort complex in the capital city, boasts a fine 18-hole, tree-lined course, a challenging par 72 measuring 6,235 yards. 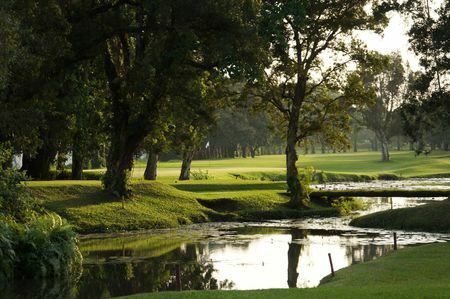 The country's second city is home to Golf de Lubumbashi, a club that dates to the 1930s and offers its own full-sized course.